I don't really like the Saga protection aspect. Was it really that strong an interaction? Though I mostly don't like it because most of my favorite Cumulative Upkeep shenanigans are enchantments. Power Conduit is probably less fragile and close to as good with sagas, especially since it's colorless rather than requiring . Sure, probably they didn't want that kind of interaction in Standard. 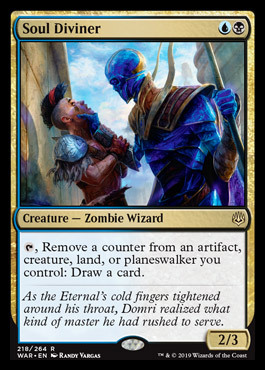 Is Dominaria still in Standard? I thought it wasn't, but if it is I kind of accept that more. Fake edit: Of course it is, it's been one year not two. I should not analyze while it's late. Just realized this allows you to instantly wipe tokens with Blast Zone and get a card out of it.